Analysis: Bucannon was a limited participant in practice throughout the week as he returns from a three-game absence. The outside linebacker has logged just 21 tackles in 10 games this season. Analysis: Bucannon practiced in a limited capacity each day this week. The Washington State product has missed the last three games with this injury. If Bucannon isn't able to play, Zeke Turner would likely see an increase in work. Analysis: Bucannon has not participated in practice since suffering a chest injury Week 11, and he will now miss his third straight game. A timetable for the 26-year-old's return remains undisclosed. Analysis: Bucannon has remained a non-participant in practice since suffering a chest injury Week 11 against the Raiders. The 26-year-old appears on track to miss his third consecutive game, allowing Zeke Turner to once again receive an uptick in snaps. Bucannon (chest) was ruled out for Sunday's game against the Packers. Analysis: Bucannon hasn't practiced since sustaining the chest injury Week 11 against the Raiders and will miss his second straight game. 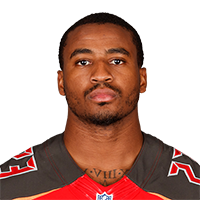 The 26-year-old currently has no official timetable for return. Bucannon (chest) did not practice Thursday, Darren Urban of the Cardinals' official site reports. Analysis: Bucannon did not practice in any capacity last week either, and he appears on track to miss his second consecutive game. If Bucannon is unable to suit up against the Packers in Week 13, expect Zeke Turner to once again see a slight uptick in snaps. Bucannon (chest) will not suit up in Sunday's game against the Chargers, Darren Urban of the Cardinals' official site reports. Analysis: This news comes as no surprise, considering the 2014 first-round pick was unable to log any practice time this week due to a chest injury. Fellow linebacker Zeke Turner could be in line for an increased snap count with Bucannon out Sunday. Bucannon (chest) did not practice Wednesday, Darren Urban of the Cardinals' official site reports. Analysis: Bucannon exited Arizona's loss to the Raiders in Week 11 due to a chest issue and continues to manage his recovery from the injury. The 2014 first-round pick will likely need to practice in at least a limited extent for any chance of suiting up against the Chargers on Sunday, so his Week 12 availability is currently uncertain at best. If Bucannon were to remain sidelined for any amount of time, Zeke Turner would be in line for an increased defensive workload. Bucannon is questionable to return to Sunday's game against the Raiders due to a chest injury, Scott Bordow of The Athletic reports. Analysis: Bucannon exited Sunday's tilt against Oakland during the fourth quarter, so if he's unable to return it won't necessarily indicate anything about the severity of his injury. As long as Bucannon remains sidelined, expect Zeke Turner to slot into the starting lineup. 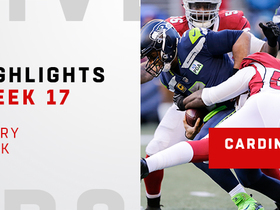 Bucannon logged seven defensive snaps during last Thursday's 45-10 loss to the Broncos. Bucannon is in the starting lineup for Sunday's preseason game against the Cowboys. Analysis: Bucannon is making his preseason debut after missing the past couple of weeks with a hyperextended left knee. Assuming he escapes Sunday's exhibition without any setbacks, Bucannon appears fully on track to be ready for the Cardinals' regular-season opener Sept. 9 against the Redskins. Bucannon (knee) is expected to return to practice this week, Darren Urban of the Cardinals' official site reports. Analysis: Bucannon hyperextended his left knee over two weeks ago and has been sidelined since, but it looks like he's finally healthy enough to return to the practice field. Expect an update on Bucannon's status when he does ultimately participate in practice this week. Bucannon (knee) won't play in Saturday's preseason opener against the Chargers, Craig Morgan of the Cardinals' official site reports. Analysis: Bucannon recently hyperextended his left knee in practice. 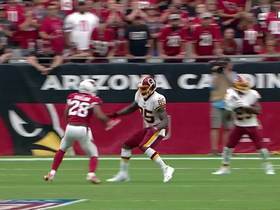 While he won't play Saturday, a recent MRI revealed that Bucannon dodged a bullet -- the linebacker didn't sustain any damage to his ligaments, ACL, MCL or meniscus, per ESPN's Adam Schefter. It wouldn't be a surprise if the Cardinals continue to take a cautious approach with him throughout the remainder of the preseason. Head coach Steven Wilks stated Friday that Bucannon has hyperextended his left knee, will undergo an MRI and was held out of practice as a precaution, Darren Urban of the Cardinals' official site reports. Analysis: Bucannon is expected to serve as the Cardinals' weak-side linebacker in 2018, coming off an 82-tackle (58 solo) campaign last season. The team has no reason to rush the proven linebacker into action following the injury. The MRI on Friday should reveal the extent of the injury, and possibly, a timeline for his return. Coach Steve Wilks said Thursday that Bucannon will serve as the weak-side linebacker in 2018, Darren Urban of the team's official site reports. Bucannon notched 82 tackles (58 solo), two forced fumbles, one interception and one sack in 12 games during the 2017 season. Bucannon (ankle) practiced fully Thursday, Darren Urban of the Cardinals' official site reports. Bucannon (ankle) was a limited participant at Wednesday's practice, Darren Urban of the Cardinals' official site reports. Analysis: Bucannon fit in some drills for the first time since Week 12, when he sustained an ankle injury. The development is a positive one as he progresses in his recovery. Expect clarification on his upcoming availability to arrive on Friday's injury report. 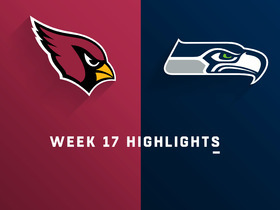 Bucannon (ankle) won't play Sunday against the Rams, Kyle Odegard of the Cardinals' official site reports. 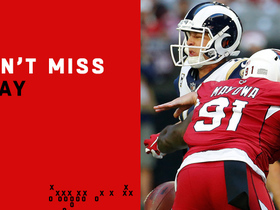 Analysis: Bucannon is critical to the Cardinals' run defense, but the team will need to make do without him against the Rams' Todd Gurley. Scooby Wright and Josh Bynes appear to be next in line in Bucannon's absence. Bucannon will shift his focus to getting healthy for a Week 14 matchup with the Titans. Bucannon (ankle) is day-to-day ahead of Sunday's game against the Rams, Kent Somers of AZCentral.com reports. Analysis: Bucannon suffered an ankle injury in Sunday's win over the Jaguars but there is still a chance he is able to play this week against the Rams. His status during practice this week will go a long way in determining exactly where he is at. Should he miss time, look for Scooby Wright to see increased reps with the starters. 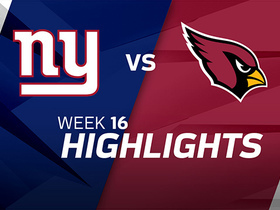 Cardinals head coach Bruce Arians said Monday that the ankle injury Bucannon suffered in Sunday's win over the Jaguars may not be as severe as the team initially thought, Kyle Odegard of the Cardinals' official site reports. 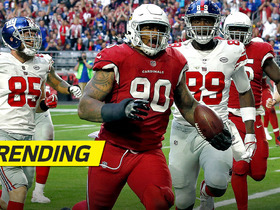 Analysis: Arians noted that the Cardinals are still waiting for further results on Bucannon's medical evaluations, after which a timetable for his return could be established. Prior to departing five snaps into Sunday's contest, the dollar linebacker had been among the top IDP assets over his previous six contests, supplying 56 tackles, an interception and a forced fumble. Bucannon is questionable to return to Sunday's game versus the Jaguars due to an ankle injury, Darren Urban of the Cardinals' official site reports. Analysis: Bucannon stayed on the field for a spell in the first quarter before walking off under his own power. He promptly went to the locker room to undergo tests, which will determine if a return is possible. Bucannon came to life over the previous six games, totaling 56 tackles (45 solo), one interception and one forced fumble. 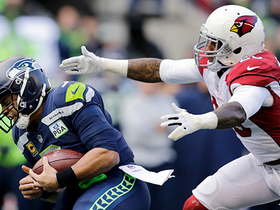 Bucannon had seven tackles (six solo) in Thursday's 22-16 loss to the Seahawks. Analysis: In games where he has played over 60 defensive snaps, this is Bucannon's lowest tackle count of the season. However, that's not a bad floor to have, especially when his ceiling is in the double digits. The fourth-year pro should continue to be deployed in most IDP formats. Bucannon recorded nine tackles (seven solo) Sunday against the 49ers. Analysis: Over the last four games, Bucannon is averaging nine tackles each contest, but he still hasn't notched a sack since 2015. He rarely posts stats outside of tackles, but his consistency continues to to make him a decent option in most IDP settings. 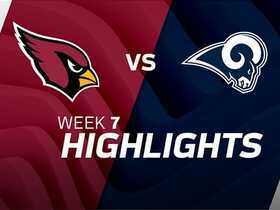 Arizona Cardinals defensive end Benson Mayowa strips Los Angeles Rams quarterback Jared Goff and safety Deone Bucannon grabs the loose ball for the fumble recovery. 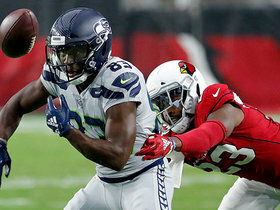 Seattle Seahawks wide receiver David Moore fumbles and recovers his own football for a 4-yard gain.